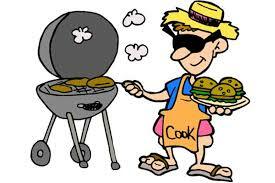 We are pleased to be hosting our annual end of season BBQ on Wednesday, June 19th from 6:15pm - 8:30pm following the Blue and Gold Event. We invite all Riptides (including I Can Swim) swimmers and families to join us for fun, food and activites at the lower picnic shelter at Bowen Park, located down by the river across from the Curling Rink. The club will be providing hamburgers, hot dogs and drinks and ask for each family to bring their favorite side dish e.g. salad, dessert, finger food...It is also a good idea to bring your own lawn chairs or blankets to sit on. Please confirm your attendance online with a side note of approximately how many family members are attending. We are looking forward to seeing everyone on June 19th! !